Home owners today have not only become cautious as far as interior designing is concerned. Modern home owners not only want their rooms to look stylish but also their bathrooms and toilets too. We happen to talk to two different individuals – a Contractor and Interior designer who had different approach about latest trends for bathroom design. Bathroom design mainly depends on home owners taste and budget. There are various designs and styles of tiles, bathroom fittings like faucets, showerheads, bathroom furniture, sinks, lights, etc. introduced every day. It is difficult to talk about a particular trend as one design or style that may be liked by one home owner may be disliked by other. Concealed fixtures and fittings is quite preferred and in trend these days. Tiles – Rustic tiles are quite trendy for modern bathrooms. These tiles look smart though subtle. 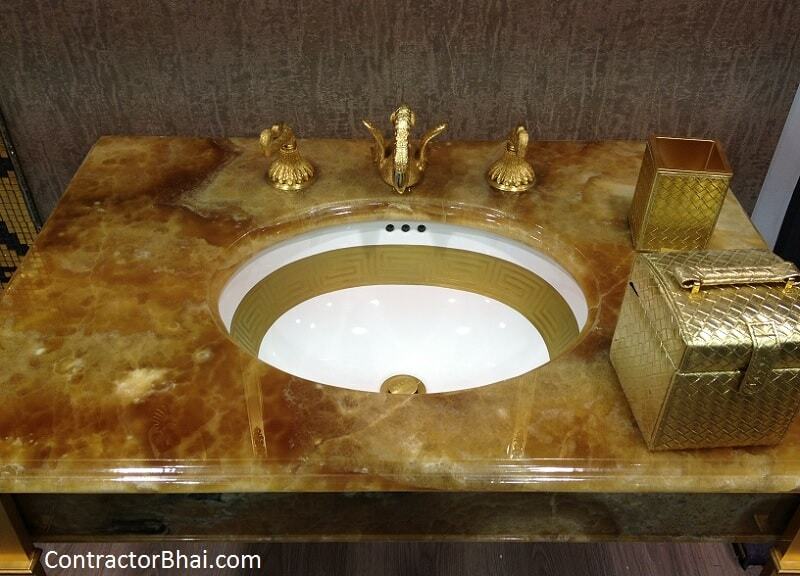 Home owners can choose from variety of colors and shades as per bathroom interiors. Home owners can have different tile color or design for different area of bathroom i.e. different for each shower area, WC area and basin area. If not that home owners can have highlighter tiles to add to the drama and style of bathroom. Fittings – Chrome finished concealed bathroom fittings make bathrooms look stylish and modern. The chrome finish fittings appear as if like a mirror. One can see his own’s reflection in chrome finish fittings. Wash Basin – Add style to your bathrooms with modern sinks made from different materials likes resin, glass, etc. Resin sink looks very elegant be it outside or inside the bathroom. There are a variety of designs and style available in resin sink. Resin sinks with different materials like pebbles, Korean stone, marbles, alphabets, etc. with different color combinations are available. WC – A wall mount WC with dual flush technology allows two different flushing options i.e.8 and 1.6 gallons per flush. Today almost all of the large toilet manufacturers offer dual-flush toilets. Showerhead – Rain-head shower and concealed square shape shower heads look very trendy and smart when installed in your modern bathrooms. Rain-head showers have an enhanced nozzle spray arrangements that offer full coverage with heavy water drops, wholly drenching shower experience. Whereas square shaped concealed showerheads offer full coverage with standard water flow, shower experience. 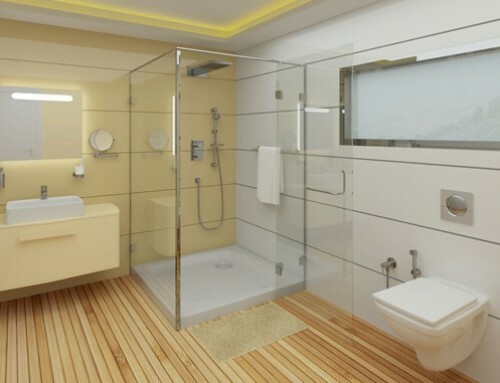 Shower Cabinets and panels – Enjoy splendid luxurious bathing by having a shower cabinet installed in your bathrooms. Shower Cabinet lets you enjoy both, the tub bath as well as taking shower. With modern cabinets, home owners can enjoy music with Built in FM radio system and steam bath too. 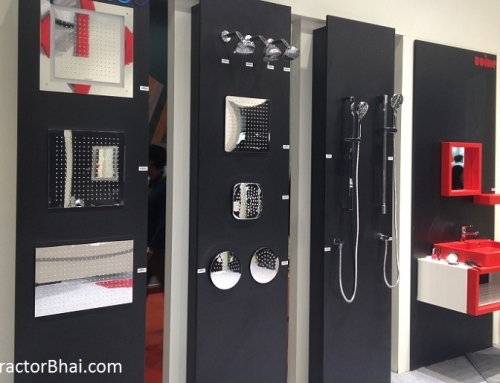 Modern shower panels have added features like control system that controls water pressure, water temperature, steam and built in music system. All these features can be controlled from a LCD screen mounted on wall. Lighting – Ambient Lights prove today are as essential as task lighting in bathroom. Home owner’s different lightings like indirect lights, recessed lights, etc. depending on space and availability. False Ceiling – With bathrooms with good height, Home owners can have ACP false Ceiling installed. False ceiling not only adds to your bathroom décor but provides finished and help reduce compression. With false ceiling home owners can have multi-level lighting that can convert your simple bathrooms to modern luxurious ones. 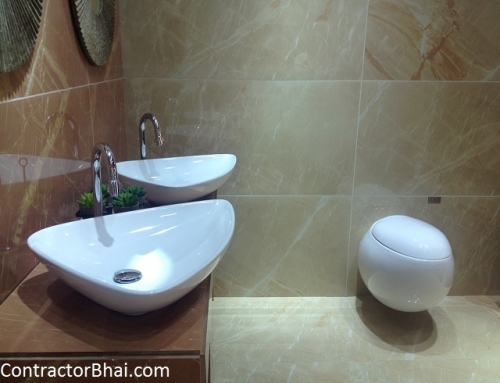 Spa at your own home – Get a Spa feeling in your very own bathrooms by installing few added items. To get a spa look, home owners can get artificial bamboos installed at a distance but parallel to one of the walls. To add to the ambience get ceiling lights installed in-between the bamboo and back wall. 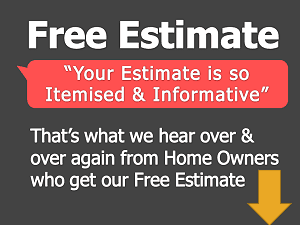 Here home owners can have recessed light, light strip or tube lights installed as per their choice and budget. The color of light could also vary with bathroom design and style. 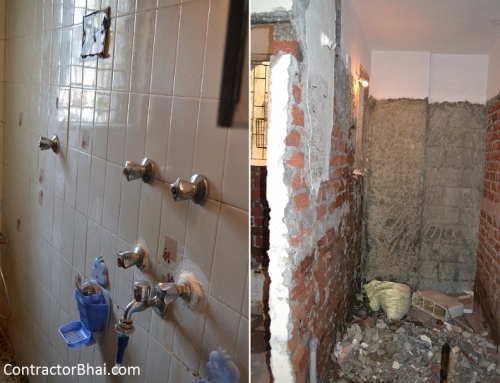 But is bathroom space doesn’t allow above installation home owners can still have a feel of spa in their bathrooms. Home owners can have a line bamboo design tiles installed to have a spa-like atmosphere. Other accessories – For bigger bathroom space, home owners can have fixtures like benches, bigger vanity counters and cabinets, etc. in modern bathrooms.